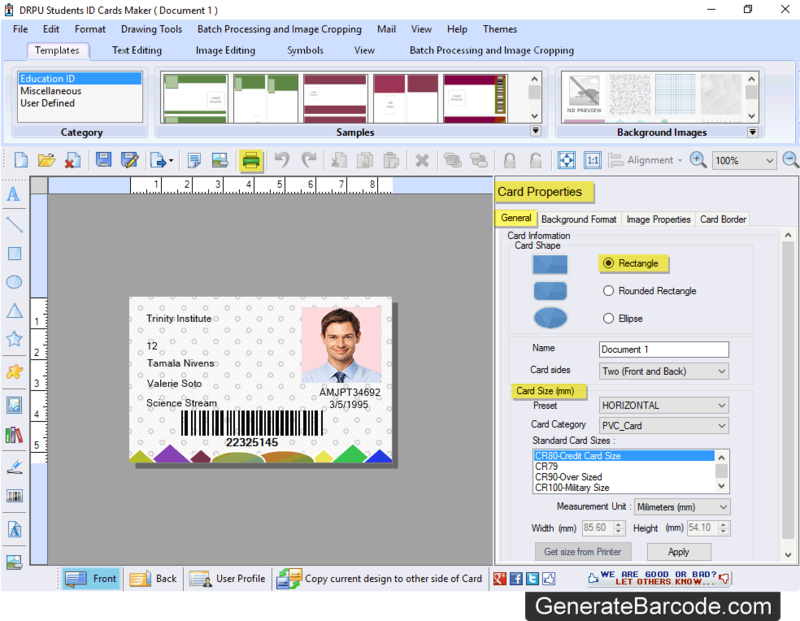 Software has two ID card designing mode. 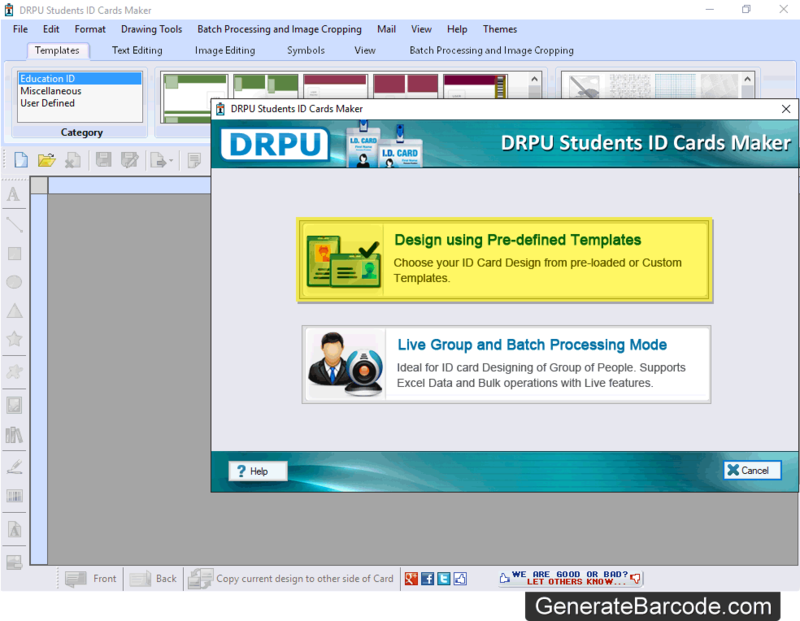 Choose any one mode either 'Design using Pre-defined Templates' or 'Live Group and Batch Processing Mode'. 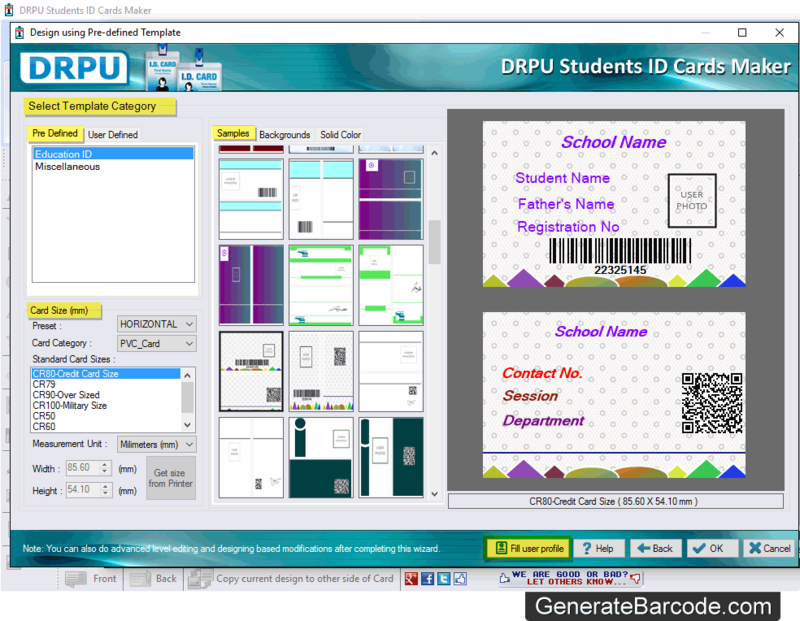 Select Template Category, choose Sample and Card Size for your student ID card. To fill user information, click on 'Fill user profile' button. 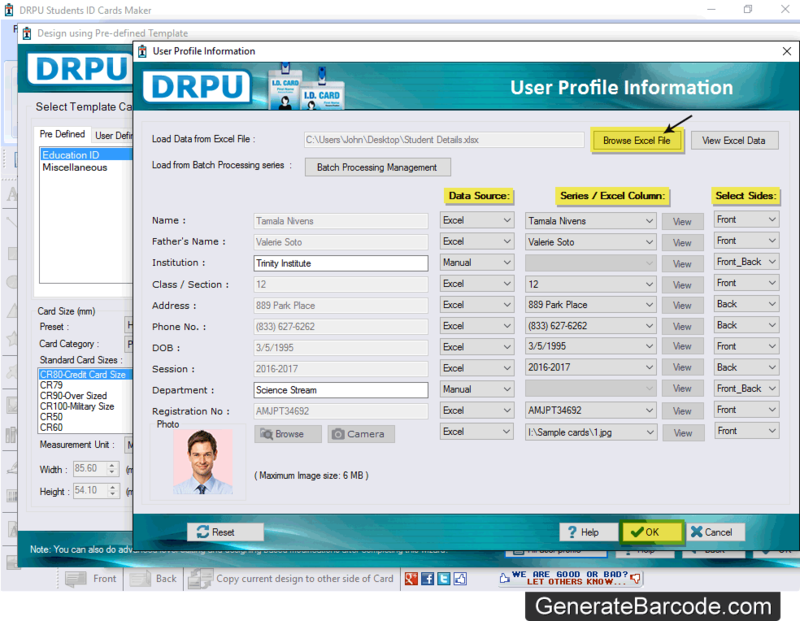 Click on 'Browse Excel File' button to browse excel file of student ID card details. Select Data Source, Series / Excel Column, Sides and click on 'OK' button. 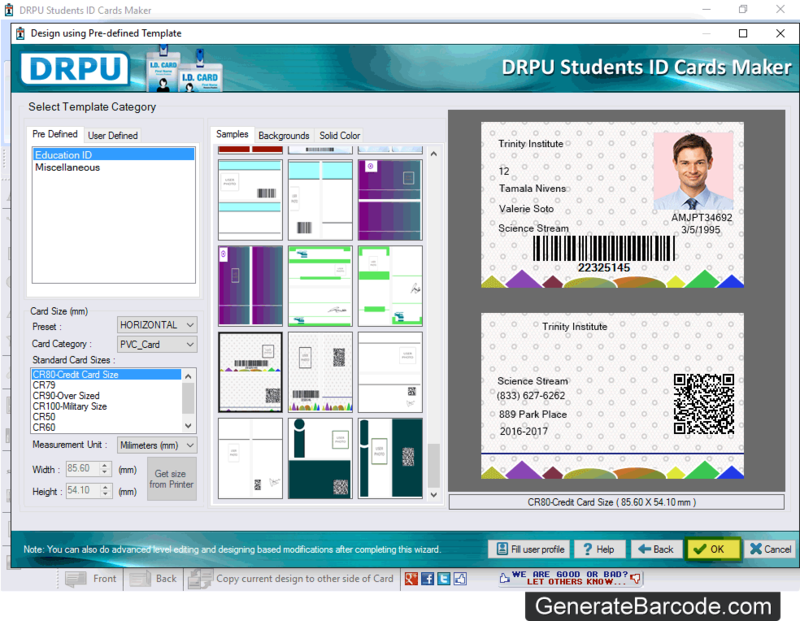 Here you can see your designed student ID card along with all the details. 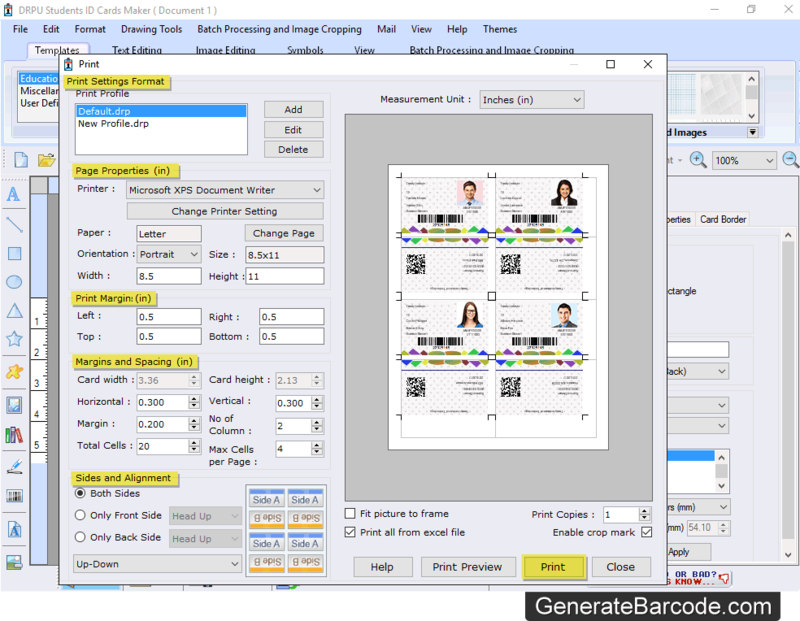 To make changes in your designed ID card, Go to Card Properties. Here, you can select Card Shape, Card Size, Card Border, Background Format, etc as per your choice. In Print Settings Format, enter all required printing details and click on 'Print' button to print designed ID cards.